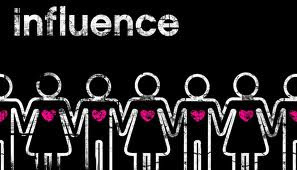 40 Ways to Increase Your Influence Now !! Before you set out to do any of these and dismiss them with ineffective results, remember that influence is not an overnight process. Chronic bad habits do not have quick fixes. This is a comprehensive list, pick one and be consistent with your efforts. Save this article and revisit it when you need to. Listen to people attentively. Look at them and avoid all distractions. Your gaze should make them feel that they have all your attention and you are listening. If you show your boss sloppy work, he will assume you show everyone sloppy work. If you are too excited when presenting a new idea to your team, people's natural defenses activate. Instead simply make a suggestion and keep your passionate energy as you will need it to drive persistent effort. Smile at someone. Give them a silent compliment. Wish strangers well. Greet people with a smile. Become genuinely interested in other people. If you appear you are in rush then people will always tend to treat you like that. Slow down, think through your thoughts and speak with clarity. Do it Sincerely. Remember People’s Name. Remember that a person's name is to that person the sweetest and most important sound in any language. This is one of the hardest thing to do. But the simple rule is do not talk negative about your team, project, boss, co-worker etc. Arrogance will always come back to bite you. Stand up for a good idea. If you believe something should be done as it will benefit the greater good then do not hesitate to step up. Remember there is a fine line between rude and assertive, be careful. Figure out how to achieve your objectives through diplomacy, not open or covert warfare. People tend to favor hope, optimism, greater good over self-focused opportunist activities. Never say, "You're wrong.". Call attention to people's mistakes indirectly. Do not appear weird. Be natural. Smiling during an intense discussion relaxes the person who is talking to you. It should be a friendly smile, conveying to them that you are listening and understanding what they are saying. I am not talking about the awkward closed lip smile, which gives the perception that I acknowledge you but I don’t want to talk to you. This is well known in consulting circles. Rule is simple, don't get overly excited and try to impress by boasting about things you cannot deliver. Keep your word no matter how small and you will be respected. This includes Ear, Nose, Arm-Pits, Thighs etc. If you have an irresistible itch then excuse yourself and go do your thing in private. Talk in terms of the other people's interests. Let the other person do a great deal of the talking. Praise the slightest improvement and praise every improvement.Be "hearty in your approbation and lavish in your praise." Use encouragement. Make the person’s fault seem easy to correct. Don't dwell on things that are not on the critical path to ending the meeting. Go on lunches with them. Find out what they like? Their passions and interests. Send them a website if you think they might like to read it. Do not be overwhelmed by this list. Let it serve as a guide to help you. Pick one way which appeals to you and master it, instead of trying to do them all at once. FREE Subscription - Click here to get articles like ' 40 Ways to Increase Your Influence Now !! ' in your Email.